Debasish Parashar is a Creative Entrepreneur, Singer/Musician, Lyricist and Multilingual Poet based in New Delhi, India. He is an Assistant Professor of English literature at the University of Delhi. 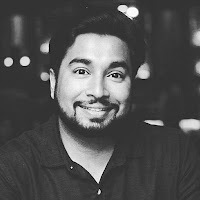 Parashar is the Founder & Editor-in- Chief of Advaitam Speaks Literary journal. His debut song ‘Pamaru Mana’ from his debut EP ‘Project Advaitam’ under his Band name DEV.advaitam has hit the internet in January, 2018. His write-up on Majuli has been listed amongst top 100 online #worldheritagesites stories globally in May 2016 by Agilience Authority Index. His literary works have appeared in Sentinel Literary Quarterly, Enclave/Entropy, Praxis magazine, Expound, Indiana Voice Journal, Asian Signature, Five2One, Mused, Gazeta National (Albanian translations), Muse India, The Australia Times and elsewhere. Parashar has been (or will be) translated into Russian, Albanian, Persian, Assamese, Serbian, Afrikaans, Indonesian and many other languages. Debasish 's works are featured in international anthologies such as 'Where Are You From ? ' (English/Persian) (New York), 'Apple Fruits of An Old Oak ' (U.S.A), ‘22 Wagons’ (Serbian) and 'Dandelion in a Vase of Roses ' (U.S.A).